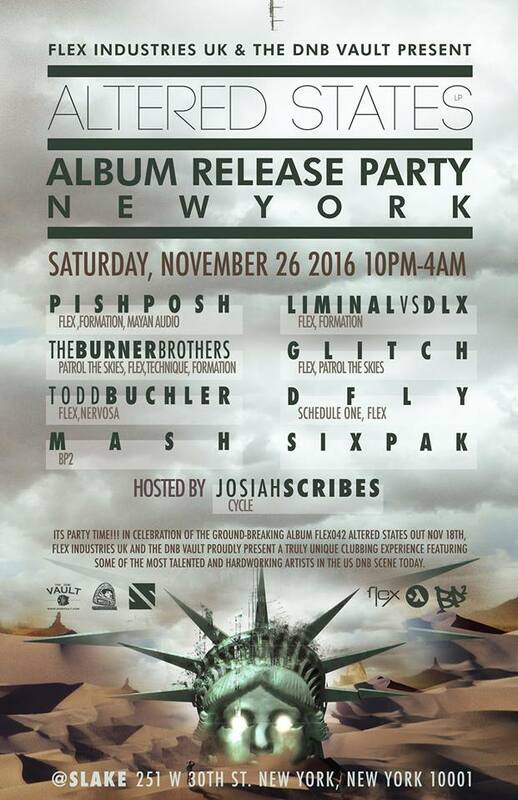 In celebration of the ground-breaking Album Flex042 Altered States out Nov 18th, Flex Industries UK and The DNB Vault proudly present a truly unique clubbing experience featuring some of the most talented and hardworking artists in the US DnB scene today. Share as many times as you can for a better chance at winning! As the name suggests, all things USA forms the backdrop of this 23 track floor banger, blending Neuro Funk and Tech Step styles to push your sound systems and your state of consciousness to the limit. Already receiving support from and featuring an exclusive mix by one of the biggest names in the US scene AK1200 and promo mix by NY badboys The Burner Brothers . Check out their massive mix below! 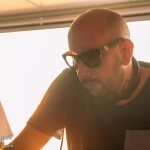 L Double’s musical influence in the US DnB/Jungle scene is profound and with the deep pool of talent the label is blessed with have crafted the LP with an exclusively all American track list featuring the US’s hardest working and talented DnB producers such as Pish Posh , The Burner Brothers , Space Journey , Liminal & Bengal ,NoizeKomplaint , Mixed Media & iIl Omen, HammerZz & Glitch. The Burner Brothers – Damages – Schedule One Recordings.